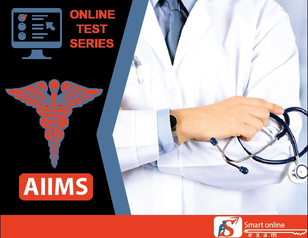 Before register for the AIIMS examination, candidates must check eligibility criteria first. If candidates will not satisfy the given eligibility criteria, their registration will be cancelled. Physics:- Circular Motion, Electricity, Nuclear Physics, Electro-Magnetic Induction, Electronic Devices, Kinetic Theory of Gases, Measurement, Motion, first law of Thermodynamics, Physics of the Atom: Thermodynamics: Work and heat, Solids, Wave Motion: Optics, etc. Chemistry:- Section A: General & Inorganic Chemistry, Molecule and Chemical Bond, Periodic Properties of Elements, Structure of Atom, Section B: Organic Chemistry, Chemistry of Elements and Compounds, Section C: Physical Chemistry, Chemical Equilibrium, Energetic, State of Matter, etc. Zoology:- Anatomy and Physiology, Developmental Biology, Diversity of Animal Life, Genetics and Evolution (Fundamentals only): (symbiosis), Histology, Reproductive System, etc. Botany:- Absorption and cell water relations, transport of water and minerals, Anatomy and Physiology of Plants, Meristems-Plant growth and development, Botany and Human Welfare, Importance, History, Factors and mechanism, Internal structure of dicot and monocot leaves photosynthesis, Internal and external regulators of growth and development in plants, Internal structure of dicot and monocot roots, Internal structure of stem and secondary growth, Tropic and turgor movements, Transpiration & respiration, Xylem and Phloem-their cell elements and functions, etc. General Knowledge:- Current Affairs, Punch line of companies, Business, Top officials of big companies, Famous award and prizes, Major corporate events, World Records, Books and authors, Science, History, etc.